The KRATOS platform is being developed by ARKRATOS (ARKRATOS BlockchainSolutions Pte Ltd), which is incorporated in Singapore. The company accounts willbe audited by internationally recognised audit firms and subject to GAAP standards. 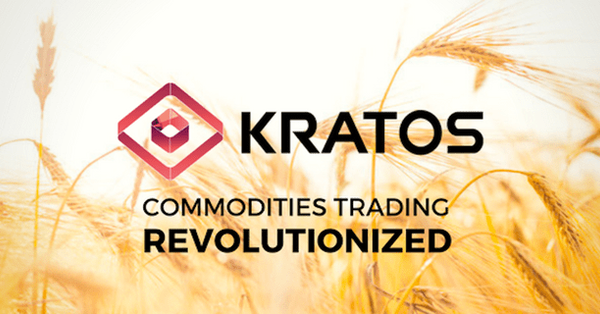 KRATOS is a decentralized physical commodities trading platform. Commodity trading challenges include insufficient trust, manual documentation, and unnecessary intermediaries. These problems often result in significant time-delays and high cost. KRATOS is an Ethereum-based platform that employs Blockchain Technology and Smart Contracts to address these challenges. It facilitates the clients to track all the necessary details of the commodity they are willing to trade. KRATOS has developed a Token Curated Registry process for trades submitted to the KRATOS platform. A token curated registry is a process that produces a list which has been vetted through a network of participants, which must be TOS token holders. In the current market situation, SME’s face challenges to seek assistance from Financial institutions to obtain financing for commodity trading. Even after meeting the stringent economic requirements for trade finance due diligence check, limited visibility and insufficient evaluation from potential financiers make SME significantly less likely to receive financing relative to larger players. o Encompasses KYC/AML, Human Resources, Administration, and Finance modules, among others. o Streamlines documentation resulting in a timely and accurate delivery as documentation will be uploaded to a single portal which all relevant parties can view in real time. Our focus is to make commodity trading a more transparent, less complex, and a less costly process by building trust and transparency within the ecosystem. This will be done by utilising the latest decentralised technologies. A token curated registry is a process that produces a list which has been vetted through a network of participants. In the KRATOS platform, participants in the TCR process must be token holders. If token holders stake their tokens, they have the right to curate a list of submitted trades into a list of high-quality trades. The token curated registry system vets or filters trade finance applications submitted on the platform. o TCR and Risk Management module by October 2018.
o Finance module by December 2018.
o Logistics (Ground, Air & Sea) module June 2019. Once all planned enhancements are completed, the product will have achieved its Target State Architecture. 💎Advantages of the Kratos solution. 🔷Use in the real world. 💎What will the collected funds be used for? Platform development: development of various modules, such as risk management and compliance, insurance, logistics (land, sea and air) and other module improvements. Sales and marketing: global sales and marketing for on-board customers and an increase in the number of players on the platform. Risk & Compliance: The right risk management and compliance team to handle each of these actions. Operations: Proper support, infrastructure and security to make the system more reliable. Legal & Audit: a legal team and auditors for better transparency in the system. Conclusion: Kratos is an ambitious and very well-designed project, and its strength in the rational solution of problems related to goods. Next Next post: What is THETA Coin? Should You Buy It?